Rose Hips. One reason to not dead-head all your roses is to allow the hips (fruit) to mature. 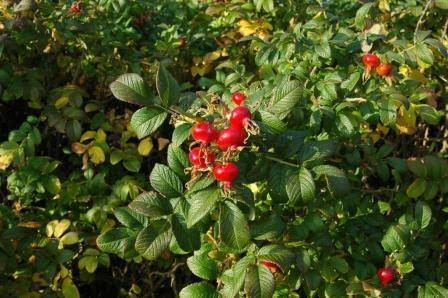 Rose hips in teas, salads and other dishes is an excellent source of vitamin C. Plus some roses, such as the Rugosa rose, have beautiful and decorative hips.